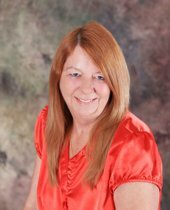 Holly Levasseur moved to Myrtle Beach in 2007 with her husband to enjoy the warm weather, the beach, the low cost of living, and the friendly laid back atmosphere. Within 6 months her daughters with their families moved to the area, as did a few of her other relatives and friends. With more than 30 years of real estate experience, to include a land development and construction company in MA Holly thought she would bring her passion and expertise to the Myrtle Beach area. Having gone through the relocation process herself, she felt that there should be someone out there that could offer other relocates the information they need to make an informed decision. 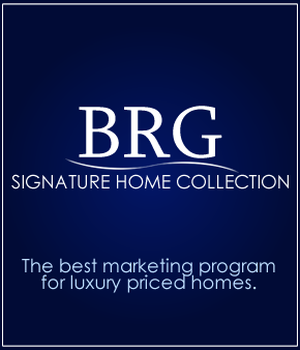 Her professionalism and concern for her clients, is what makes the relocation process less stressful. Whether you are thinking about retiring (warmer weather, great beaches, lower cost of living, and a quiet relaxed place to live), buying a vacation home (that could be used as investment as well), a condo on the beach, an ocean front home or a home in the country minutes from the beach Myrtle Beach has it all and Holly would love to show it to you. Holly chose to join BEACH REALTY GROUP providing her with more marketing and technology tools, continuing education, and support, which will make your real estate experience less stressful, and much more efficient, while keeping that personal and professional touch. Holly welcomes all your questions with no obligation; she understands this is an important decision and not one taken lightly. So ask away!!! She can be reached by email at Hollysellsmyrtlebeach@gmail.com or by cell phone at 843-855-2741. She looks forward to working with each and every one of you. We are so thankful to have Holly as our realtor. She was fantastic, helped us whenever we needed, was extremely patient with us, and made the entire process as painless as possible. Its been an awesome pleasure to meet Holly. From the first I day knew she was going to be my realtor and my friend. Holly gets into the heart of what a person needs. She very honest . she makes you feel at ease. Never takes you to see condos or homes that are out of your range or are not suitable for you. . Holly is very personal. You are very fortunate and blessed to have a person like Holly on your staff. Holly goes the extra mile. and then some. As fast. Holly sold my condo is as fast as she founded a beautiful affordable condo for me to move into. I recommend that whether you are selling or buying Holly and their staff at Beach Reality Group are for you for awesome comfortable business. A special thanks to Holly Lavasseur for all her help & attention. Holly was always there when we had questions or concerns “ she deserves the best of gratitude Thanks again To her the company Beach realty group As always.